Tarun Gupta January 15th, 2015 Application Development no comments. You have too many mobile apps in your smartphone that serve several of your purposes like chatting, shopping and collaboration. This is the same story with millions of people having smartphones. The craze for mobile apps among the smartphone users has made this a million dollar industry. Every hour a new mobile app is being added to your favorite app store. So, if you too struck with an idea of having your own mobile app, you can do it right now. Just a few simple guidelines and you will be up with your brand new mobile app. Let your first ever mobile app become a huge success. These step-by-step instructions will guide you to go ahead. Before going into it, define your mission behind the app. Do you want to earn money from your app or you just encountered a problem, which this app will solve? Will you dedicate this app to the end users to make their life slightly better? Your purpose behind the app might be anything but the best part is that 'you have a purpose'. It's almost impossible to come up with a unique app idea, as there are millions of apps already running around your concept. Don't get discouraged. You just need to focus on your thought and explore ways to make your app more user-centric. So far, you are quite clear about a mobile app you need. Now, get your ideas documented. Put your thought on pen and paper and draw a precise story board / wire frame of your mobile app. It's better to use automated wireframing tools to accomplish the purpose. 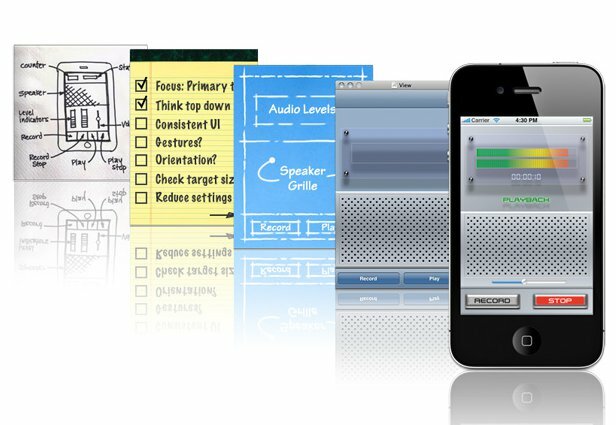 There are several prototyping tools available such as Balsamiq, Moqups, and HotGloo that can be used to create a mock-up. These tools enable you to drag and drop all the placeholders with graphics into the place and see how the app will function. Once you're done with the prototype, give it a test run. Invite your colleagues, friends and relatives to review the prototype. Ask them for their honest feedback. Watch them carefully how they are using the app. Note down the flaws and errors in the prototype that might hamper user experience later. The prototype testing will help you in two ways. First, it will help you to rectify the design errors in the initial stages and second it'll help you to escape the annoyance of being stuck, once app goes live. Your proposed mobile app may have numerous features to support its functionality, but when you begin, put the core features only. There are many features that you can add up in your app later. Include only those features that deliver the core idea of the app. To do so, watch your prototype closely to decide which features can be removed. This will help you to cut down the initial cost of development and make your app quick to the market. Since you have big plans for your app, don't leave it to mere experiments. Hire an agency or an apps development expert to make things done. Before zeroing on a web development agency check their testimonials and details about the mobile apps, which they have created so far. Explore their portfolio to find if it contains an app similar to yours. To sell your app via premier app stores, you need to register first to get a developer account. It will enable you to sell your app using their platform. While registering, you'll be prompted to tell whether you need to get registered as a company or an individual. It's worth mentioning that app stores charge a few bucks for the registration on their platform. Once your app is up for sale and download on app stores, use analytics to track app downloads, user engagement and retention for your mobile app. It will give you an idea how your app is performing. You may use free or paid analytics tools to get it done. Once your app goes live, ask users for their reviews and feedback. It'll help you to improve and enhance your app. Take their feedback seriously and work on the flaws of the app, if reported. Changes and improvements are not constant, so keep your eye on the feedback. It will help you to make your app more happening and popular.